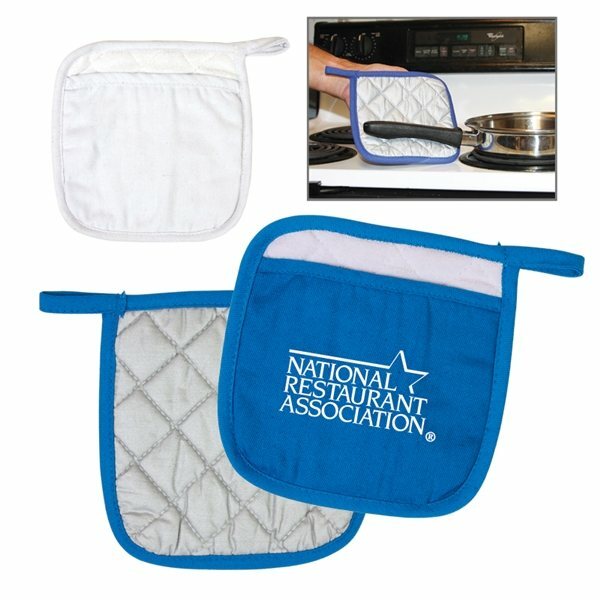 Cotton canvas quilted pot holder with metallic heat and flame-resistant Teflon backside. 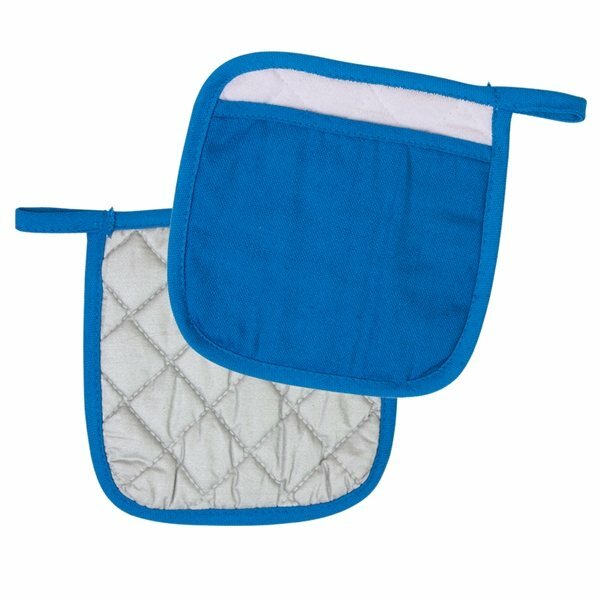 Slim pocket with soft terry cloth for easy grasp on items also for easy printing. Note: Hot items may melt or smudge imprint if placed directly on them. Recommended direct placement on side without the imprint. Super fast service and production. Items arrived looking exactly as I expected. I would definitely recommend. Good experience Veronica was excellent to answer all of my questions and inquiries!!! Thank you! I ordered these as giveaways for my company, and they are such a hit. Very happy with the product... print quality on the ornament was much better than I had expected. They worked well and looked good. 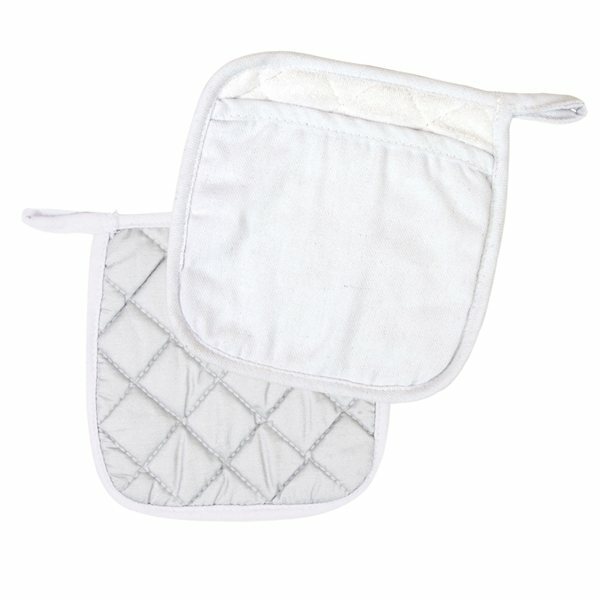 this is the second time i have placed an order with AnyPromo and both times the product was very high quality.